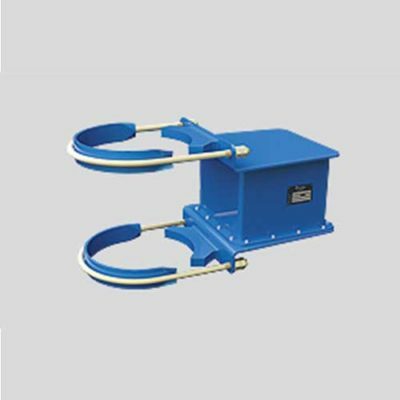 Similar to spring devices, elastomeric devices are products used for the isolation of a vibratory system from the source of vibration and therefore are to be positioned between these two. 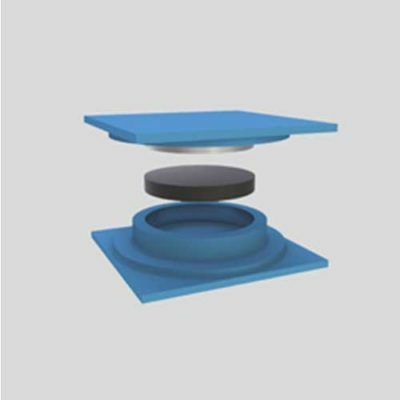 For an efficient isolation, the natural frequency of the vibratory system, defined by the elastomeric devices and the load they carry, has to be significantly lower than the main excitation frequency of the vibration source. A typical example is the isolation of an emergency power generator of a building like a hospital that is located at the top of building. The backup power supply will be instantly started when a power cut occurs. During the start-up and the operation of the generator the isolation by elastomeric devices has to make sure that the operational vibration of the generator is not transmitted to the building thus not impairing the functioning of medical instruments or laboratory equipment. Elastomeric devices are also frequently used to isolate complete rooms or even buildings from external excitations. Examples range from small rooms with sensitive production or measurement equipment to complete concert halls that are isolated against e.g. the vibrations induced by nearby railway tracks. The protection of complete building structures against seismic events like earthquakes is also possible with special elastomeric devices. However, it requires a thorough analysis of the situation. Another big area of application is the isolation of production equipment such as machine tools. 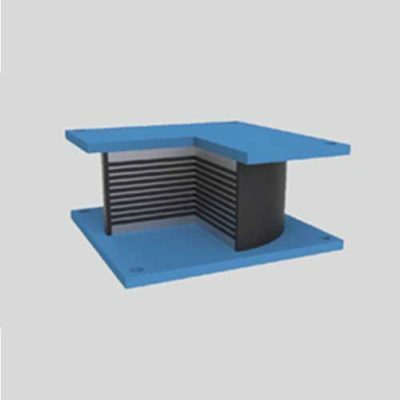 Here the use of small standard elastomeric devices provides a very simple isolation solution. Like all VICODA products also VICODA elastomeric devices are based on a modular design approach. 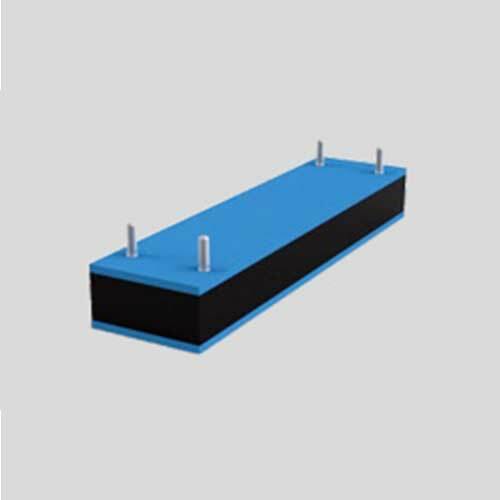 The basic design of an elastomeric device consists of a rubber pad that is vulcanized to an upper and a lower steel plate. For the anchoring of the devices the plates may be equipped with threaded holes or bolts. The vertical stiffness of an elastomeric device and its damping characteristics are depending on the rubber material and its thickness. The typical VICODA rubber compound used for the elastomeric devices of type RR has a Shore A hardness of 55 and a related damping ratio of 4-5%. However, in order to cover the wide spectrum of elastic as well as damping requirements other synthetic or caoutchouc based rubber materials are available. In aggressive weather environments chloroprene rubber provides the required resistance. When resistance against oil or grease is required acrylonitrile butadiene based rubber is available.